Which poll on Jeju’s second airport is right? The poll on building Jeju’s second airport conducted by the professional research center from Sept. 24th to 25th shows that 63.7 percent of the respondents agree with the plan. Based on the fact above, Jeju provincial government recently requested the Ministry of Land, Transport and Tourism to build Jeju’s second airport early. 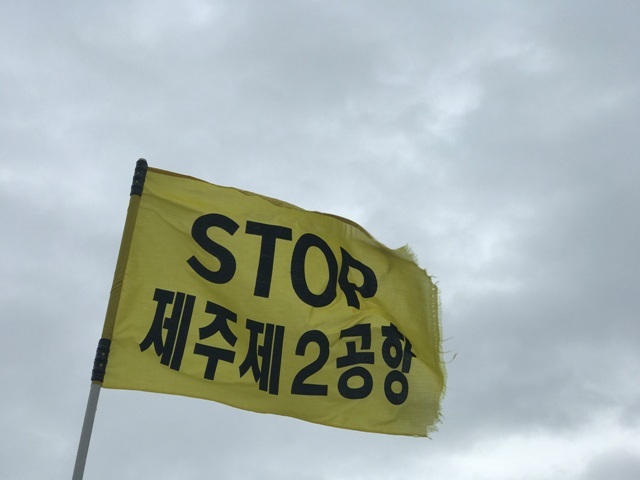 However, the organizations protesting Jeju’s second airport suspected that questions used for the poll is not proper. The organizations suggested that since there are only two options, “agree” and “disagree,” to the question “Do you agree to build Jeju’s second airport?” it is unfair to say that 63.7% of the respondents only agree with Jeju’s second airport because it limits other options. The organizations said, “To get a fair result, other options such as expanding Jeju international airport’s capacity or reusing Jeongseok airport should be added to the question rather than giving only two choices. On the other hand, a poll led by the organizations shows that 36.6% of the respondents agreed to expand Jeju international airport’s capacity, 24.4% of the respondents agreed to build Jeju’s second airport, and 20.8% of the respondents agreed to reuse Jeongseok airport. In other words, depending on the question of the poll, the agreement with building Jeju’s second airport can be 63.7% or 24.4%.